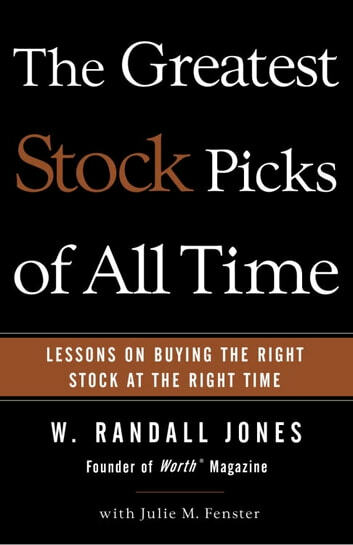 Worth magazine founder Randy Jones shows how to pick the best stocks of the future by learning the lessons of the greatest stocks of all time. In a turbulent investing environment, luck must be the only way to score in the stock market, right? Not so, says Randy Jones. The people who bought McDonald’s in 1965 or Chrysler in 1980 weren’t just fortunate. Most of them knew how to read the signs of a good stock and jumped on the opportunity. Such stocks exist in every economic climate, and Jones shows readers exactly how to find them. 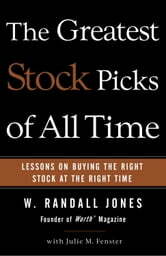 In The Greatest Stock Picks of All Time, Jones describes twenty-five of the best stock picks ever and explains what made them great. He shows how the smartest investors find companies that are about to zoom, giving readers a framework for analyzing stocks today. For example, Jones explains why AT&T was a great stock pick in the 1920s, Polaroid in the 1940s, Xerox in the 1950s, Teledyne in the 1970s, and Intel in the 1990s. He then guides readers to discover stocks that represent the same kinds of pathbreaking products, innovative business models, great management teams, and other harbingers of success that will certainly be characteristic of the great stock picks of tomorrow. The Greatest Stock Picks of All Time has invaluable lessons for anyone in the market today.